Your kitchen will benefit from custom-built MDF or solid wood kitchen cabinets, doors, floorings, and even partition walls. Q: What preparations do I need to make for my kitchen renovation? A: Start by removing all your personal belongings from the cookery. If you're experiencing difficulties moving certain furniture, you can freely leave it as it is – the handymen will cover the entire kitchen in protective sheets as a safeguard against dust and spills. Refreshing the look of any old kitchen furniture. Q: Can my handyman help me choose the right materials? A: Certainly! Just ask your professional and he will supply you with ample information regarding the quality and durability of each and every material you have chosen. 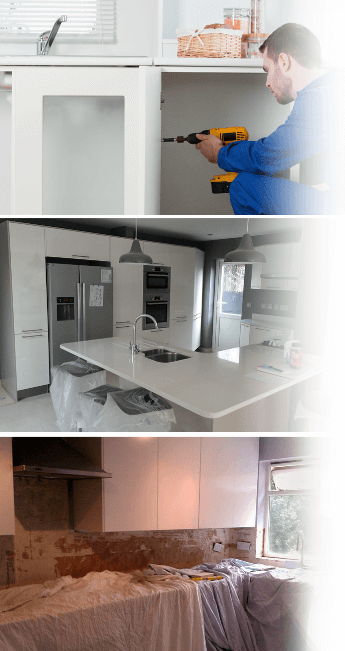 This will help you make the optimal choice for your kitchen installation project and get the best value for your money. 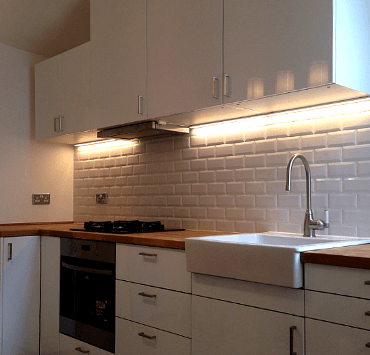 Q: How much will my kitchen refurbishment cost? A: All renovation costs for your bespoke kitchen will be listed in a detailed estimate. In order to better satisfy your needs, we will first send a skilled professional to make a survey and prepare a price quote based on your individual project. 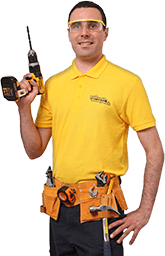 This assessment will include the approximate price for all materials and installation tasks, as well as a complete rundown of the handyman services labour costs.